Mix cornbread mix and dry mustard. Set aside. Mix egg, oil and milk together; add to dry mixture and stir just until moistened. Stir in the ham and onion. 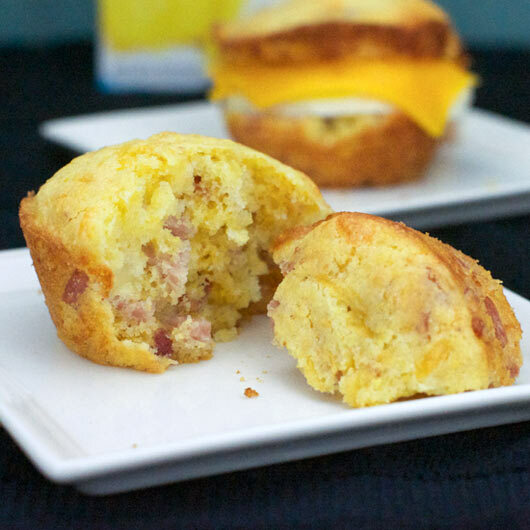 Pour into greased muffin tin and bake at 400 degrees for 17 to 20 minutes. 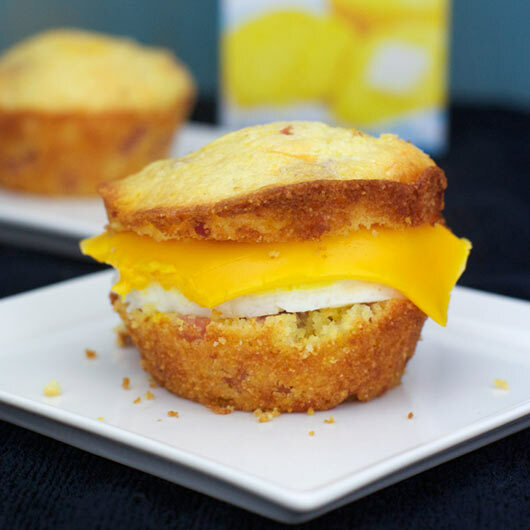 If you find your savory muffins are browning too fast, cover the muffin tin loosely with aluminum foil and continue baking until a toothpick inserted into the center of a muffin comes out clean. For variation, you could replace the ham in this recipe with 1 cup of cooked and crumbed sausage or 10 strips of cooked and crumbled bacon. 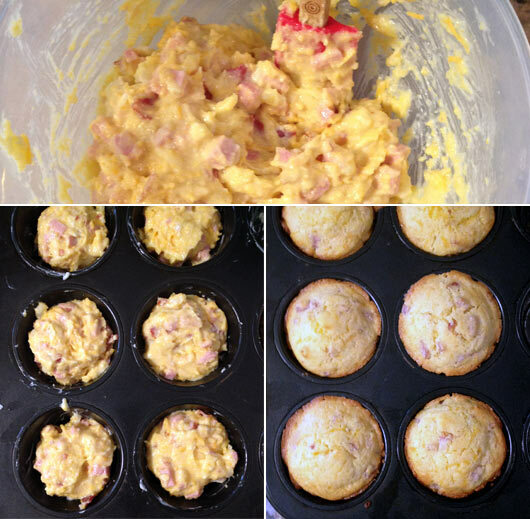 The muffins seen here took exactly 18 minutes to bake. This recipe by Georgian Davis took first place in the 2003 University of Buffalo 'Kneading the Dough' baking contest (breads, muffins & pastries). Recipe number 2143. Submitted 9/10/2007.